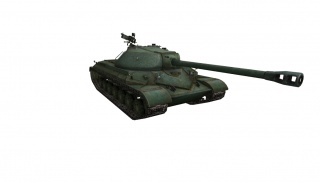 The WZ-111 model 1-4 is a Chinese tier 9 heavy tank. Prototipo de un blindado pesado desarrollado a primeros de los 60. El proyecto 111 fue desarrollado sobre la base de los blindados IS-3 y T-10. En 1964 se abandonó el desarrollo en favor de nuevos tipos de blindados medios. 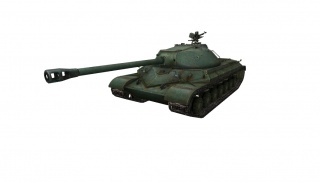 The WZ-111 model 1-4 is a departure from its parent tank the 110 sporting a slightly weaker, larger hull with less mobilty in exchange for a significantly tougher turret and a much larger gun which is very comparable to the IS-7's 130mm gun and maybe even better. Even though it is slightly less mobile compared to it predecessor, it is still very fast and agile and the mobility should be used to make up for its rather unreliable hull armor. The WZ-111 model 1-4 leads to the WZ-111 model 5A, and the 113. This tank plays very much like an T-10, but it trades more alpha damage in exchange for slightly worse accuracy, penetration, and rate of fire, with similar aim time. When playing the WZ-111 model 1-4, you should be very careful of being near ridges, as the gun depression is quite horrible. Combined with the long length of the vehicle, you will be at a significant disadvantage in hilly terrain or on downwards slopes. You should try to look for ways to make your tank travel on as flat ground as possible, as to ensure you won't be fired at by enemy tanks while being unable to return fire. With only 5 degrees of gun depression, you might be limited by some maps. However, thanks to the moderate accuracy and decent penetration, sniping should not be too difficult with this tank. Another thing to be careful of is making sure the enemy does not fire into your lower frontal plate, which will not withstand hits from same-tier tanks. 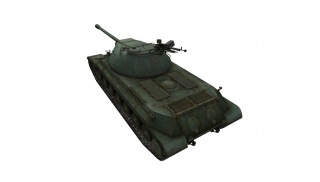 The turret front and upper frontal plate are both well armored and will bounce shots with moderate frequency. Another thing to note about its armor is that it has spaced, sloped side armor. 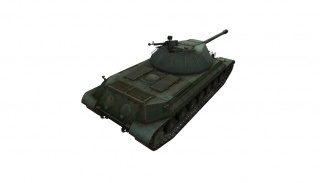 Though not as bouncy, thick, or big as that of the IS-3's, it can still soak up a shell with some luck. Care should be taken as to always make sure your pike nose is pointing at the enemy, as angling will expose your weak sides, as well as making one side of the pike much weaker than when pointing forwards. Angling will, however, make one corner of the pike much stronger, though this should not be done unless you have some form of cover to make sure your weaker pike won't be damaged easily. Last to mention is this tank's mobility, which is really excellent. With a top speed of 50 km/h, you can quickly gain A LOT of speed and get into position very fast, especially when going down a slope. While the top speed is outstanding for this tank, the acceleration and track traverse speed leave something to be desired, and the 1-4 requires a fair bit of time to reach its top speed, and will lose a lot of it when climbing hills. 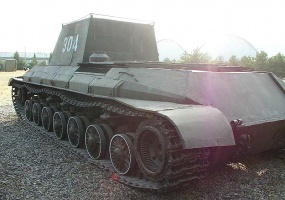 The WZ-111 was the Chinese attempt to answer the Soviet T-10 heavy tank development. Once completed, the WZ-111 was supposed to replace all Soviet-made IS-2 and IS-3 tanks in PLA service . However, due to the design shortcomings, only one prototype was completed before the fall of 1964 when the development was cancelled. 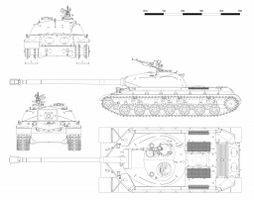 Flaws that were found during initial tests included heavy and very cramped turret interior, insufficient armor on the hull, and weak and unreliable engine that was struggling with the overall mass of the vehicle. Most of the technologies used in the WZ-111 were copies of earlier, then already close to obsolete, Soviet solutions . Turret design was cast steel, with welds on the roof area, fitted with two crew hatches and a commander periscope. Suspension consisted of seven road wheels with internal shock absorbers, three support rollers, drive wheel position at the rear with removable ring gear, and guide wheel. Transmission was similar to the one in the IS series, and featured a multi-disc main clutch using dry friction, an eight gear transmission with a dual planetary rotation mechanism, and final drive. Engine was a Chinese-made unlicensed copy of the B11 diesel, with the maximum power output of 520 horse powers. Maximum speed achieved during tests was 35 km/h. The body was made from welded plates, with thickness of 13, 120, 90, and 60 mm. 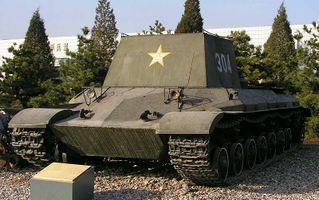 Test prototype was preserved and today is placed on permanent display in the Chinese Tank Museum located near Beijing. Esta página se ha visitado 7 veces.